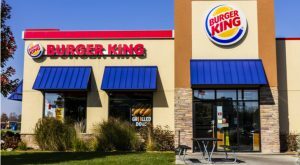 Restaurant Brands International Inc’s (NYSE:QSR) Burger King has a new menu item. The new item on Burger King’s Menu are Pretzel Chicken Fries. This is a new twist on the normal chicken fries that were already a part of the fast food chain’s offerings. The big difference this time around is that these chicken fries are covered in a pretzel breading. Burger King describes the fries like this. Customers that with calorie-counting concerns won’t find the pretzel chicken too detrimental to their diets. An order of the new menu item comes in at 340 calories. They also contain 21 grams of fat, 3.6 grams of saturated fat, 35mg of cholesterol, 1200mg of sodium, 21 grams of carbohydrates, less than 1 gram of fiber, 1 gram of sugar and 16 grams of protein. Here’s how some Twitter Inc (NYSE:TWTR) are reacting to Burger King’s new Pretzel Chicken Fries. Article printed from InvestorPlace Media, https://investorplace.com/2018/06/burger-king-adds-pretzel-chicken-fries/.